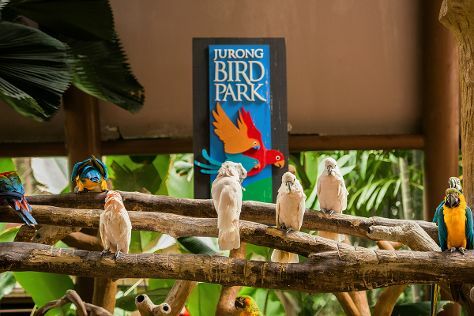 Kick off your visit on the 5th (Wed): look for all kinds of wild species at Jurong Bird Park and then admire nature's wide array of creatures at Singapore Zoo. For traveler tips, reviews, and tourist information, go to the Singapore trip planner . Playa del Carmen, Mexico to Singapore is an approximately 28-hour combination of bus and flight. You can also do a combination of ferry and flight. You'll lose 13 hours traveling from Playa del Carmen to Singapore due to the time zone difference. Traveling from Playa del Carmen in September, Singapore is a bit warmer at night with lows of 30°C. Wrap up your sightseeing on the 6th (Thu) early enough to travel to Mexico City. Start off your visit on the 7th (Fri): explore the world behind art at Palacio de Bellas Artes, see the interesting displays at Palacio Postal, then examine the collection at National Museum of Anthropology (Museo Nacional de Antropologia), and finally examine the collection at Frida Kahlo Museum. To find photos, maps, and other tourist information, refer to the Mexico City online attractions planner . Getting from Singapore to Mexico City by flight takes about 23.5 hours. Other options: do a combination of flight and bus. The time zone difference when traveling from Singapore to Mexico City is minus 14 hours. While traveling from Singapore, expect little chillier days and colder nights in Mexico City, ranging from highs of 26°C to lows of 16°C. Finish your sightseeing early on the 7th (Fri) so you can travel back home.